In both online and physical rummy they key rummy tactic to your victory is improving your skills. The more skills you get from playing more rummy games, the more the benefit you can gain in big rummy tournaments and promotions. In a game of rummy, when the cards are dealt to you, place your cards in alternate colors, i.e. red, white, red order. This will eliminate the chances of you discarding any useful card because of confusion. The second rummy tactic to win more in rummy games is to look for pure sequences. The more pure sequences you have the better as even if you lose the game, you don’t have to incur the burden of all the cards in your hand. Discard the high point cards once you get it. But also look for what your opponent is trying to make from his cards. If he’s trying to make a meld out of high cards, you don’t have to help him by giving out those high point cards like J,Q,K and A. This is the best rummy tactic to block your opponent by winning. Try to make melds out of the middle cards. If you are having a card numbered 5, you can make melds with 4,5,6 or 3,4,5 or 5,6,7. So the probability of making a set or sequences is high if you are having a middle card. Use Jokers but don’t waste it on already made sets or sequences if you are sure to win. But you can add Joker cards in the melds to reduce the points considerably if your opponent declares before you. This rummy tactic will help you reduce the points you lose. If you are in a tournament or in a competitive event of rummy, try to reduce the points even if you are losing. This will help you bounce back in next games. If you are not comfortable with the set of cards you got or if you didn’t get any Joker while the cards are dealt, you can drop out of the game. This will make you lose only 20 points. 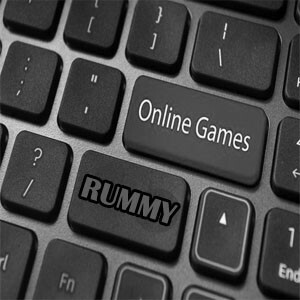 Rummy online is best to be played with friends or with random players. So try to play in online rummy websites that has more users 24×7. By this you can increase your skills and winning tactics to be victorious in a game or even in a rummy tournament.